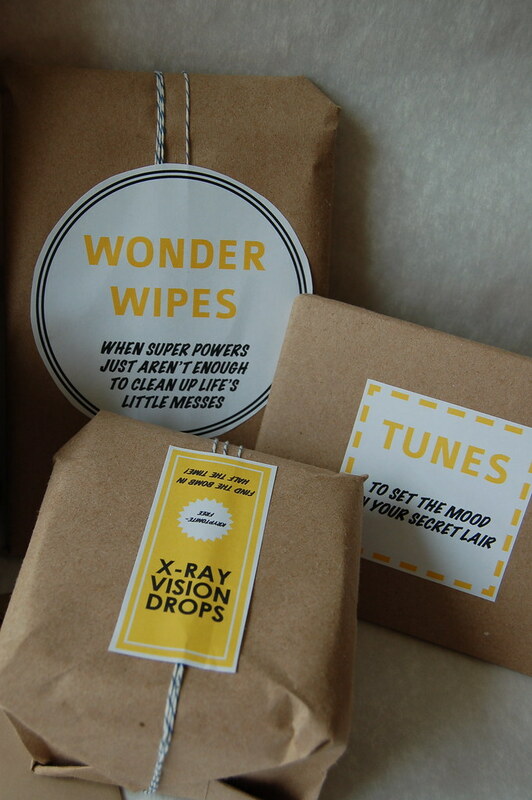 A couple weeks ago I stumbled across an amazing project on Jordan Ferney's blog 'Oh Happy Day' (there are so many amazing projects on her blog, I highly suggest you check it out here): wrapping your father's day presents with a 'Hero' theme. 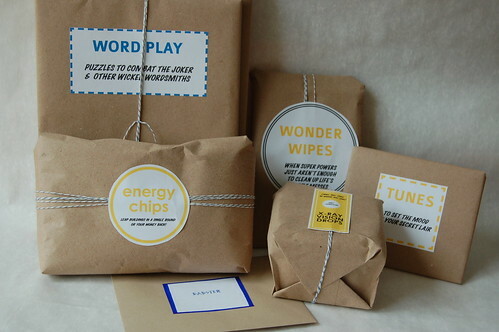 Jordan designed an amazing array of stickers to match the various snacks and goodies she had bought for father's day and packed them all into a plain wooden box like a care package (see her post about it here). 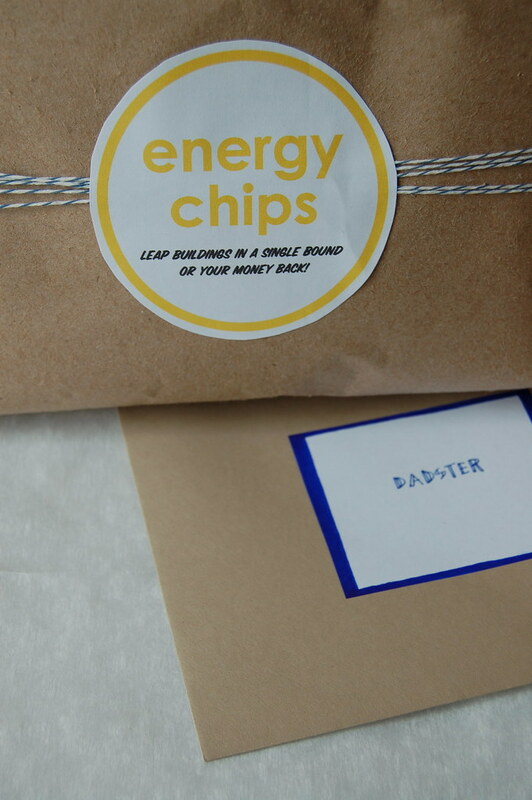 I modified this plan a little bit, wrapping my gifts and snacks in brown craft paper (bought in a big roll for roughly $6 at Staples) and tying them with blue and white baker's twine. I tried to use as little tape as possible in order to keep the packages looking clean and crisp. Having bought a couple unique gifts for my Dad--a book of crossword puzzles, a book on heirloom tomatoes, a cd, and a set of Trader Joe's super absorbent wipes--I designed a new set of stickers to match Jordan's original design. I was pretty happy with how everything turned out and my Dad seemed to like them too. He almost didn't want to unwrap the gifts! See more pictures of my wrapping project here and download and print Jordan's original stickers here (for free!). p.s. I almost forgot to write HAPPY FATHER'S DAY! I hope you all had a lovely weekend celebrating the dads in your life!